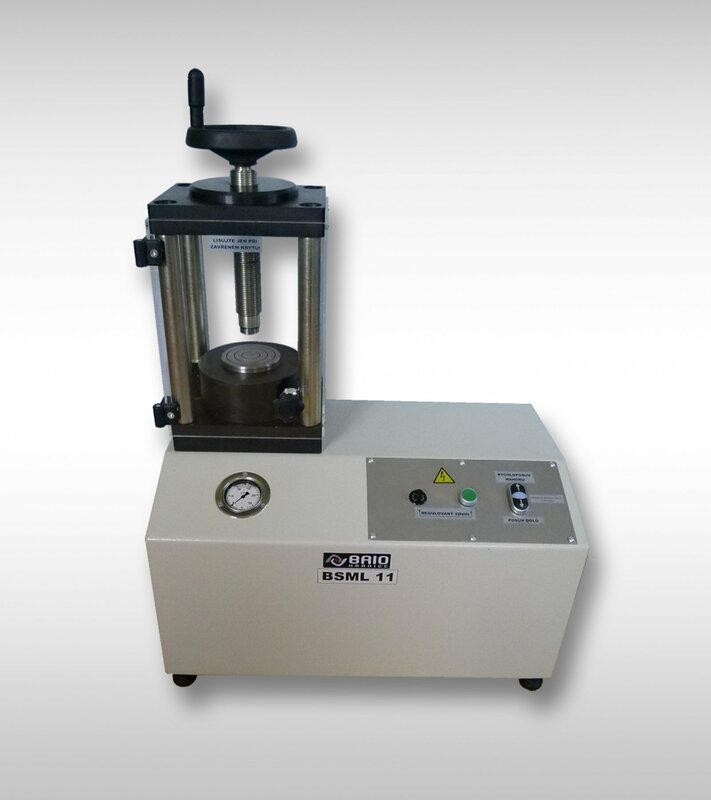 Laboratory compressing machine with hydraulic motor is designed for maximum force up to 25 tons. Machine could be delivered with semi-automatic control as BSML 11 or as automatic machine BSML 21. Four column frame is placed on framework (box), hydraulic aggregate is placed inside the box. Electric control panel is situated the top of the box. Press is designed for sample (pellets) preparation for X-ray fluorescent spectrometry, infrared spectrometry or for calometry methods etc. The force is generated by hydraulic aggregate. Rought set up of the height for clamping of pelleting device is done by screw. Working area is completely covered. The front doors are closing. Pelleting device is supplied with diameter 20, 30, 32 and 40 mm (atypical dimension could be delivered).